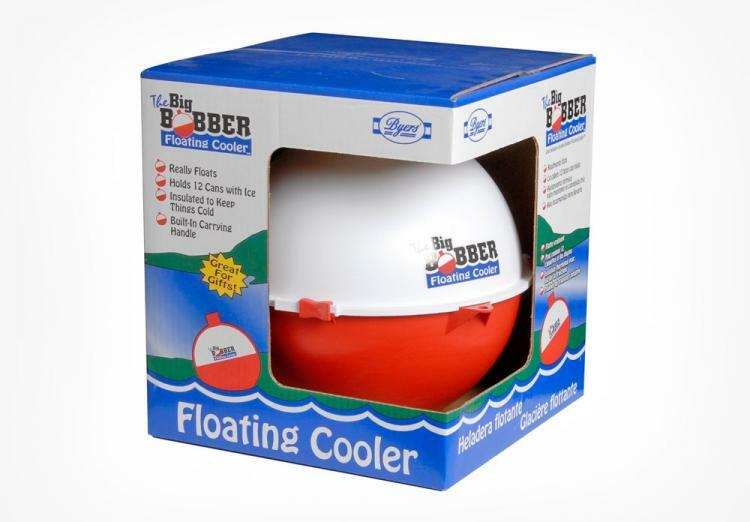 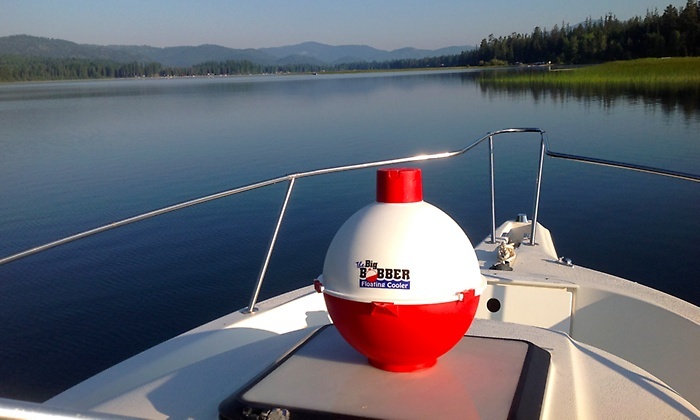 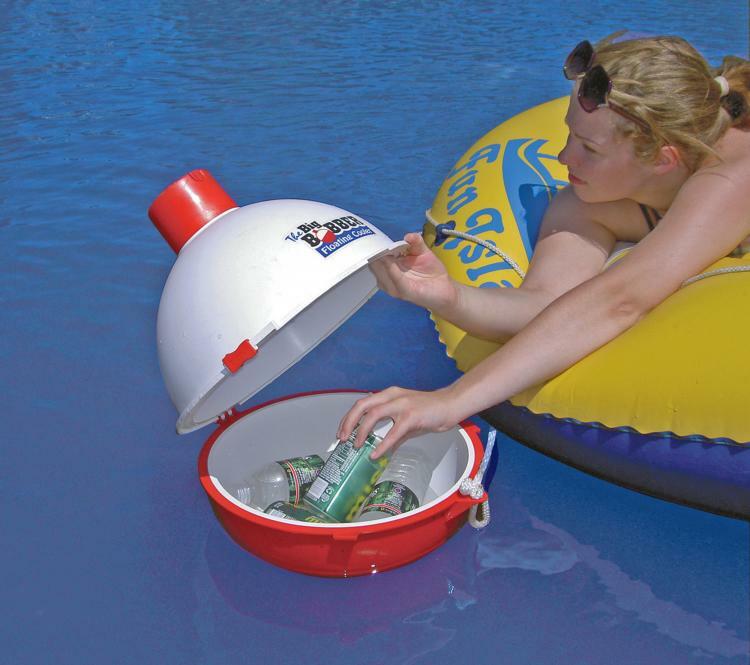 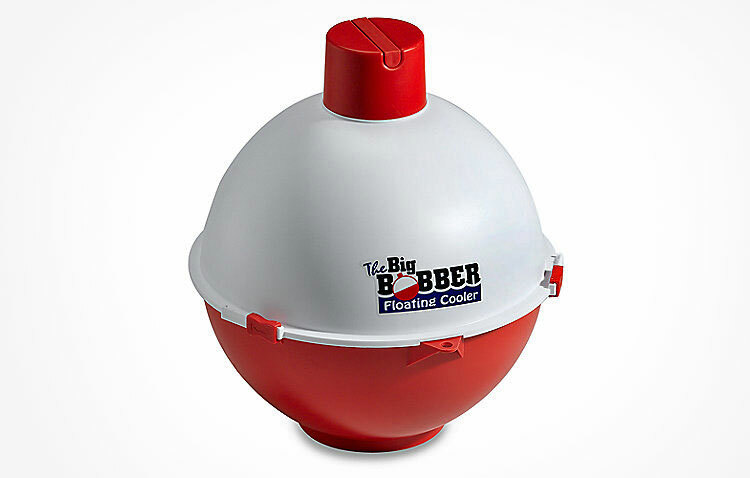 The 'Big Bobber' is a beer cooler that is essentially a giant fishing bobber. 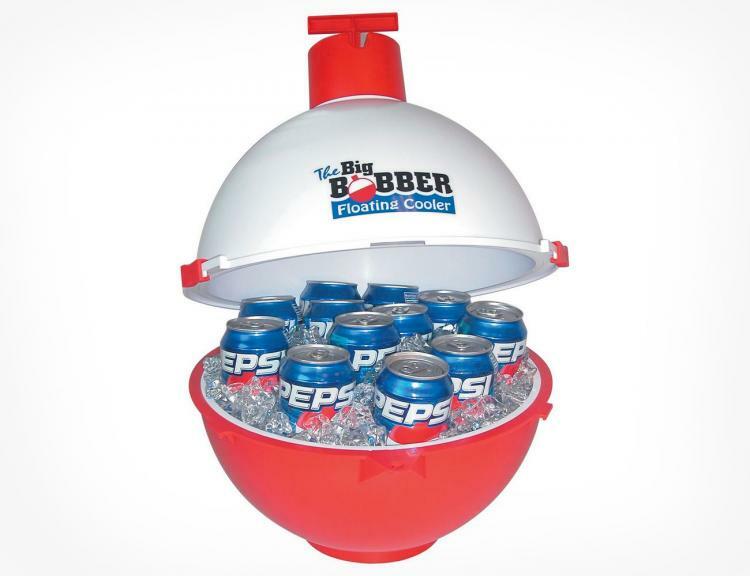 The cooler flips open in the middle to reveal the delicious beer inside. 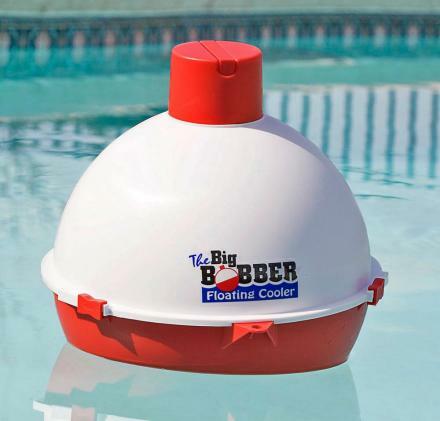 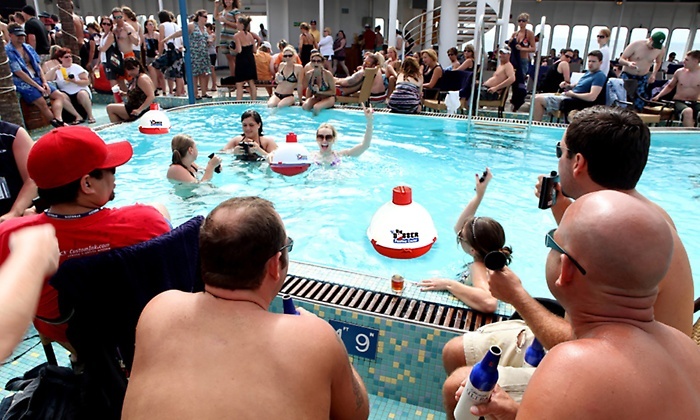 Plus the bet part is, it floats so you can attach it to your tube while your floating down a river, while your lounging in a pool, or even while out fishing, and you'll never have to be farther than an arm's lengths away from the precious nectar inside the giant bobber. 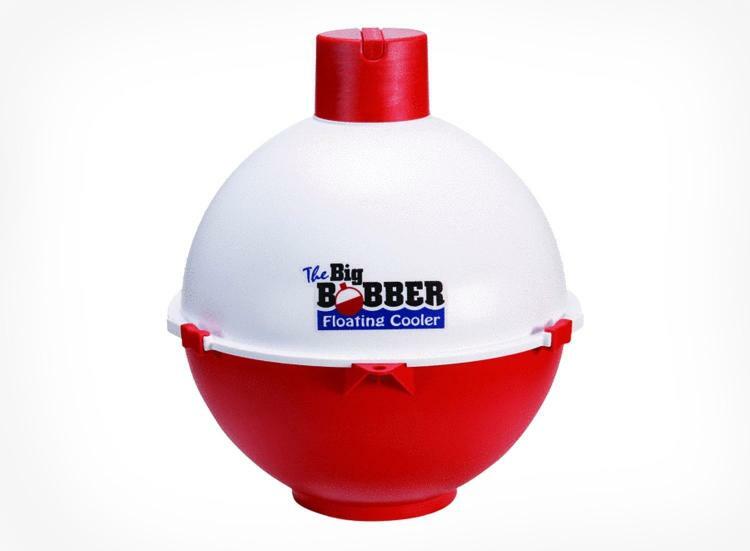 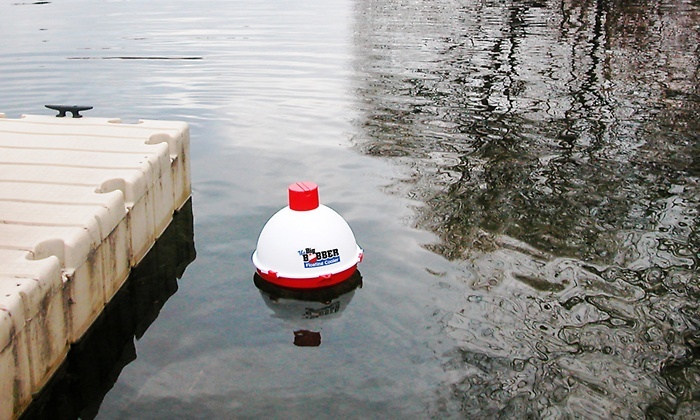 A perfect gift idea for any avid fisherman, redneck, sportsman, or hunter, the floating fishing bobber cooler is of course made in the good ol' USA. 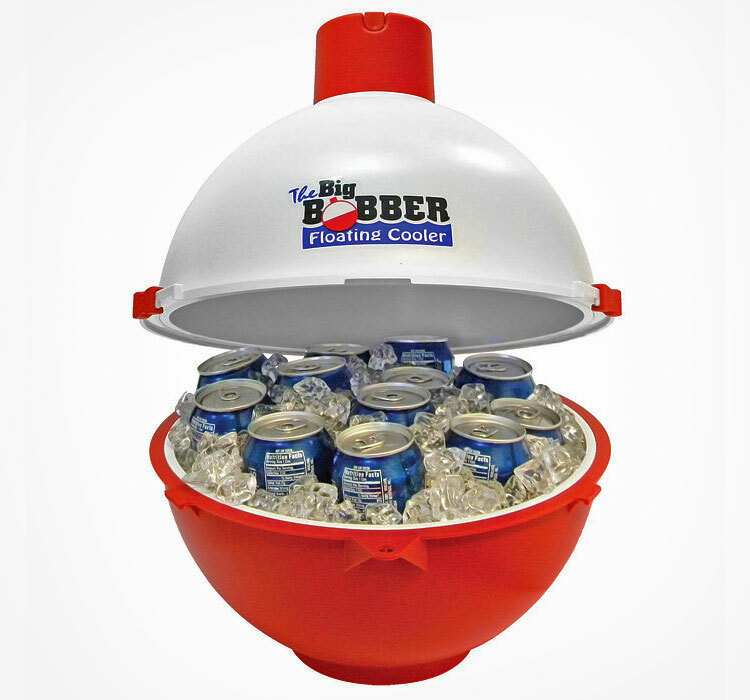 The fishing bobber cooler is designed to hold 12 cans of beer (you can attempt to hold more, but good luck keeping it afloat), is made from high quality material that's both strong and lightweight, is easily transported using the built in handle that comes out from the top of the bobber, weighs 4.5 lbs, and measures 15.8 inches tall x 14 inches in diameter.